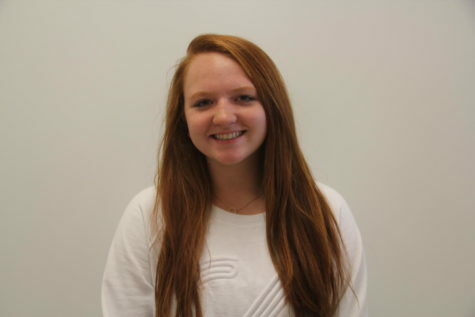 Katarina Schilling is a junior at Highland high school, and this is her second year writing for the Rambler. She took second in the best news writing category at the Utah High school Future of Journalism conference, and first place in best news writing at the Utah high school Scholastic Media conference. She is also on the Highland varsity swim team, and has gone to state every year that she has been at Highland. Her favorite stroke is breaststroke, and it has been since she was nine years old. Along with swimming, Schilling plays water polo for Park City high school. She has gone to the Junior Olympics twice in water polo, and hopes to play in college as well. Schilling’s biggest goal in swimming is to break the Highland record in the 100 meter breaststroke, which she is currently about four seconds off of. She would also like to become swim captain at Highland her senior year, as well as a captain of her water polo team despite being from a different school. After high school, Schilling is hoping to go to either Stanford or Dartmouth, where she will study psychology. She then wants to get into a good medical school, and become a clinical psychiatrist in Utah, where she was raised.